Dana specializes in orthopaedic physical therapy. His experience includes clinical management of patients with both acute and chronic orthopedic injuries in the outpatient environment. His practice is focused on integration of manual therapy and exercise into a holistic, evidence-based and biopsychosocial approach to physical therapy treatment. He is the residency manager of Harris Health System’s Orthopedic Physical Therapy Residency Program. He was honored by the Texas Physical Therapy Association Southeastern District, as clinical instructor of the year in 2013. He is also a guest lecturer at Texas Woman’s University and has presented at multiple conferences. Dana earned his APTA Board Certification in Orthopedic Physical Therapy and is also a Fellow, in the American Academy of Orthopedic and Manual Physical Therapists. He has served locally for the Southeastern District, as a delegate for the TPTA, and nationally on the American Board of Physical Therapy Residency and Fellowship Education credentialing council for the APTA. Lindsay earned her doctorate in physical therapy from Nova Southeastern University, then made her way to Texas after stopping off in San Diego for a few years. Once in Texas she completed her orthopedic residency at Methodist and became board certified Orthopedic Certified Specialist. She then completed her Fellowship from the Manual Therapy Institute in 2014 and joined the Optim Team in 2015. She currently works in many areas at UTMB. She helped with developing their orthopedic residency program in 2013 and continues to teach as faculty. Lindsay also leads the women’s health rehab department and is working on her CAPP certification. At the School of Health Professions she assists the director of clinical education with student placements and the development of new sites. Lindsay is blessed by her two young daughters that always keep her smiling and on her toes. Sarah graduated from The University of Texas at Austin with a Bachelor of Science in zoology in 2000 and a Bachelor of Arts in theater and dance in 2003. She received a Master of Science in physical therapy and doctorate in physical therapy from Texas Woman’s University. She completed orthopedic residency training through Harris Health System and fellowship in the American Academy of Orthopedic and Manual Physical Therapists through The Manual Therapy Institute. She has served on faculty on faculty for multiple orthopedic and neurological residency programs. She has guest lectured at Texas Woman's University and served locally for the Southeastern District of the TPTA. Sarah's expertise includes management of acute and chronic orthopedics, pelvic health, and dance medicine. Caleb Ashmore graduated physical therapy school from Texas Woman’s University - Houston in 2013. He completed an orthopaedic physical therapy residency at Memorial Hermann in 2014. He became board certified in orthopaedics in 2015, and became a fellow of manual physical therapy by completing the orthopaedic manual therapy fellowship with Houston based OPTIM shortly after. Throughout his career, he has mentored several PT students and residents. He has taught orthopaedic labs and led journal clubs at local PT and PTA programs, assisted in study design and data collection for multiple research studies with colleagues at Memorial Hermann and Harris Health System. Caleb has presented platform and poster presentations at several conferences, including: TPTA and CSM, and has attended: IFOMPT, and AAOMPT conferences on numerous occasions. He currently works at Performance Pain & Sports Medicine. Mike DeArman has more than 20 years of experience across virtually all aspects of rehabilitation. He has been a member of the Quentin Mease Hospital orthopedic team since 2007. Among his many roles with the residency program, he is lead faculty for the upper quarter module. Mike completed his Fellow of the American Academy of Orthopaedic Manual Therapy status in 2012 and his doctorate from The University of Texas Medical Branch at Galveston in 2013. Chris Dewey graduated from Texas A&M University in 2002 with a Bachelor of Science in biomedical science, from Texas Woman's University with a Master of Science in physical therapy in 2004, from The Manual Therapy Institute Fellowship program in 2009, and a doctorate in physical therapy from the University of Texas Medical Branch at Galveston in 2013. He is board certified in orthopedic physical therapy and a fellow in the American Academy of Orthopaedic and Manual Physical Therapists. He is the director of outpatient rehabilitation at Quentin Mease Hospital while continuing to practice in clinic as well. He has spoken at various physical therapy association programs in the Houston area. Brian is board-certified in both orthopeadic & sports physical therapy and is a Fellow in the American Academy of Orthopaedic and Manual Physical Therapists. His current practice focuses on recreational and college athletes. He is the Director of Residency Programs and Human Performance at Memorial Hermann Health System and adjunct faculty at Texas Woman’s University. He is active in the APTA, serving in the House of Delegates and on the residency program credentialing committee of ABPTRFE. He has served on the local level in several different capacities and is part of the TPTA Governmental Affairs Committee for which he has testified before the Texas House Public Health Committee. He has received several professional honors including the Southeastern District of the TPTA Excellence in Clinical Practice Award, Dorn Long Outstanding Clinical Instructor Award, APTA Emerging Leader Award, and the APTA Signe Brunnström Award for Excellence in Clinical Teaching. His passion is mentorship and clinical excellence through residency and fellowship education. John received both his Doctorate of Physical Therapy and Bachelor’s Degree in Exercise Sports Science from Texas State University. He currently practices in a sports medicine clinic within The Memorial Hermann Hospital System where he serves as a guest lecturer for the physical therapy residency program, leader of the shoulder special interest group, as well as clinical instructor. John has presented on topics such as chronic pain and exercise prescription at both the local and state level. He is a Fellow of The American Academy of Orthopedic Manual Physical Therapists, and graduate of the OPTIM Program. Chris is a physical therapist at Foothills Sports Medicine & Physical Therapy in Scottsdale, AZ. He received his DPT from Saint Louis University and completed the Scottsdale Healthcare’s Orthopaedic Residency in July 2014. Currently he is enrolled in a fellowship of manual therapy program. Chris is a Level I Expert in FMS and SFMA and IASTM Technique course completion. His practice focuses heavily on the use of Sahrmann movement impairment syndromes, repeated motions, IASTM, and the SFMA in addition to his manual therapy assessment and treatment techniques. Chris is a co-author at The Student Physical Therapist website. Jennifer graduated from Texas A&M University in 2009 with a bachelor's degree in biology and a minor in business administration. She attended Texas Women's University where she graduated with her doctorate in physical therapy in 2012. After graduating, Jennifer joined the outpatient orthopedic physical therapy team at Quentin Mease Hospital. She is faculty and mentor for the Harris Health Orthopedic Residency Program and is a clinical instructor and adjunct faculty at TWU. She received the Outstanding Clinical Instructor of the Year Award in 2014 and APTA Emerging Leader in 2017. She is an OPTIM manual therapy graduate. Jim earned his Doctorate in Physical Therapy from Saint Louis University and graduated from the Harris Health Systems Orthopedic Residency in October 2014. He moved to Boulder, CO and is in private practice at Heafner Health. Jim is Level 1 Expert in FMS and SFMA. Currently, he is pursuing his fellowship in manual therapy. Jim’s practice focuses heavily on functional movements, manual therapy, movement impairments, and joint-by-joint assessment. In his free time, Jim is co-author of The Student Physical Therapist, writing extensively on musculoskeletal assessment and treatment. Sarah received her bachelor’s degree in exercise science with a minor in theology from Saint Louis University where she was also a contributing member of the Saint Louis University Division 1 field hockey team. She completed her doctorate in physical therapy from Saint Louis University in 2012, and went on to complete her residency in orthopedic physical therapy at Harris Health System in 2013. 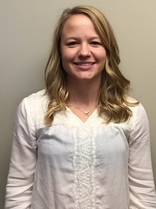 Upon completion of the residency, Sarah became a board certified specialist in orthopedic physical therapy. She graduated from the OPTIM Manual Therapy Fellowship program in 2016. Her interest is in chronic pain research and application, and has lectured locally and nationally on the subject. She stays active with the physical therapy association on the local and national level, serving as a representative of the Southeastern District House of Delegates. Dexter graduated with his bachelor's in kinesiology from Texas A&M University in 2009 and a doctorate in physical therapy from Texas Woman's University in 2013. Following graduation he accepted a position into Ironman Memorial Hermann's Sports Residency, graduating in 2014. Since completing his residency Dexter has become board certified in Orthopedics and Sports while completing his fellowship through OPTIM's Manual Therapy Fellowship in 2016. He currently works as senior faculty and mentor for Memorial Hermann's Orthopedic and Sports residencies. His interest is in bridging the gap between orthopedic and sport practices and is active board member in the Southeastern District.